From December 15 to January 15 every year, Chennai is a city transformed – dotted with performances of music, dance and drama throughout the day by thousands of upcoming and established artistes. Margazhi, the Tamil lunar month, coincides with the Zodiac sign Sagittarius and falls approximately between December 15 and January 15 every year. The earth is closest to the sun at this time of the year, and the northern hemisphere should have faced extreme summer. But because it faces away, it is a time of suffused light and coolness. For the Tamilians from Tamil Nadu, India, it is also a spiritually energising month. They set aside all personal celebrations during these 30 days and focus on activities that enhance their spiritual energy. Women wake up early in the morning to draw large flour patterns on the floor. Men, women and children visit the temple and chant divine names. 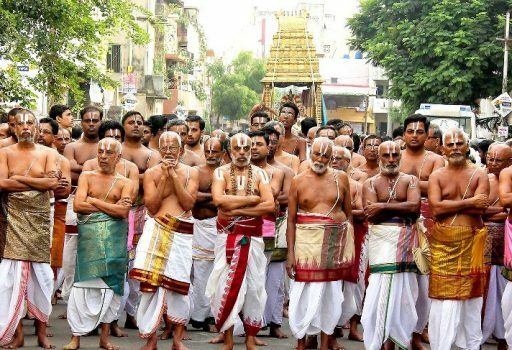 Sometimes, they go in a procession through the streets around the temples chanting the names; and even strangers join in, if not to chant, at least to clap and keep pace. The atmosphere is fragrant with the smell of flowers and incense sticks as well as the aroma from the divine offerings that the children love to eat after the puja. It is therefore befitting that this month should also see the greatest celebration of South Indian classical dance and music in the form of the Margazhi Festival in Chennai. Art is not mere entertainment in India and is often yet another way to reach out to the divine. Most of the themes of the classical songs and dance items are centred on the epics and divine stories that expound the concept of devotion in various forms. Artistes and connoisseurs await this period to soak in the ambience and immerse themselves in performing as well as enjoying top class performances that, through sheer brilliance, magically transport people to a different world. In fact, the popularity of the festival is such that hundreds of venues crop up to cater to the needs of local audiences who are unable to travel to the more established centres in one part of the city. Events begin at 7 a.m. and the last slot is fixed for 7 p.m. Time slots are allotted depending on the seniority and popularity of the artiste, with the most senior being given the last two slots of the day. A very senior artiste can perform in at least eight to ten venues in a month. Apart from catching up with the music and dance shows, one of the favourite pastimes of the connoisseurs during this period is planning their day, prioritising artistes they would like to listen to at their favourite venue. They hop from one venue to another in pursuit of ‘artistic excellence’. 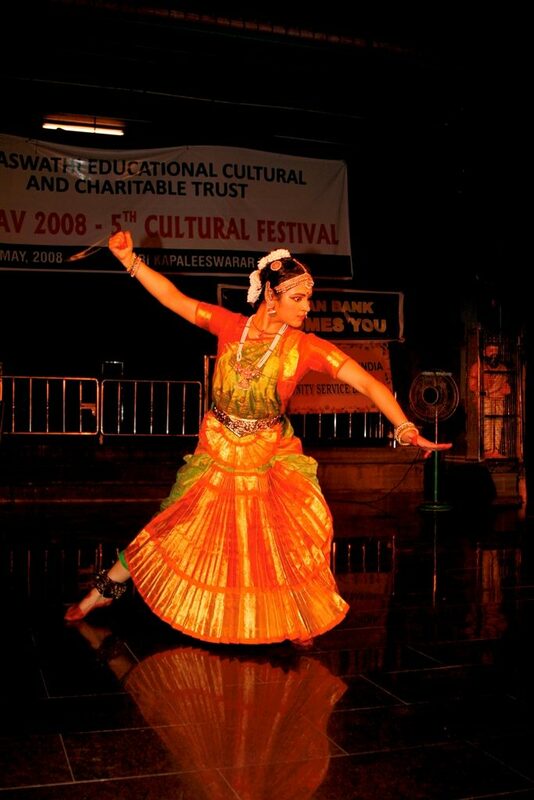 Over time, dance and drama have also become a part of the festival, which has compelled many sabhas (performance venues) to extend the event to January and even February. The Margazhi Festival is so popular amongst the Tamilians that many living outside the state also plan their trips to the city at this time. Aspiring artistes living abroad also try to make their mark during this period, and any slot they get during the day is a matter of pride and celebration. Months of training and practice go into making it perfect, and with the eager hope of getting noticed by the press and the more established sabhas. But it is not just the artistes who prepare and plan for the ‘season’, as it is called. Men and women bring out their finery to look their best, for this is as important as any family wedding and one is likely to meet long-lost friends and even ‘distanced’ relatives. It is also common to find like-minded friends planning a jaunt to catch up on their favourites. And during the concert, Indian audiences also love to indulge in some gloating as they try to guess the raga (musical framework) on which a particular song is based or openly expressing their admiration for a particularly difficult musical note being rendered. Being out all day and moving from one venue to another also works up the appetite. Tempting the weary audience with aromatic dishes are caterers who have established a base in various popular venues. The crowd in the food stalls is so huge that sometimes one wonders if it is the love for the art or tasty dishes that lures the audiences. In fact, the crowd could be larger in the dining areas than inside the concert hall! And some of the planning for the day is also influenced by which caterer serves the best lunch, which one the best dinner, and where beverages and snacks are the lure. From spirituality to sensuality, Chennai is a transformed place in the month of Margazhi. And it is not just the Tamilians who say this. In the next few pages, let us see how it beckons even the non-Indians.